Hofer, M., Bell, L. & Bull, G. (Eds.). (2015). 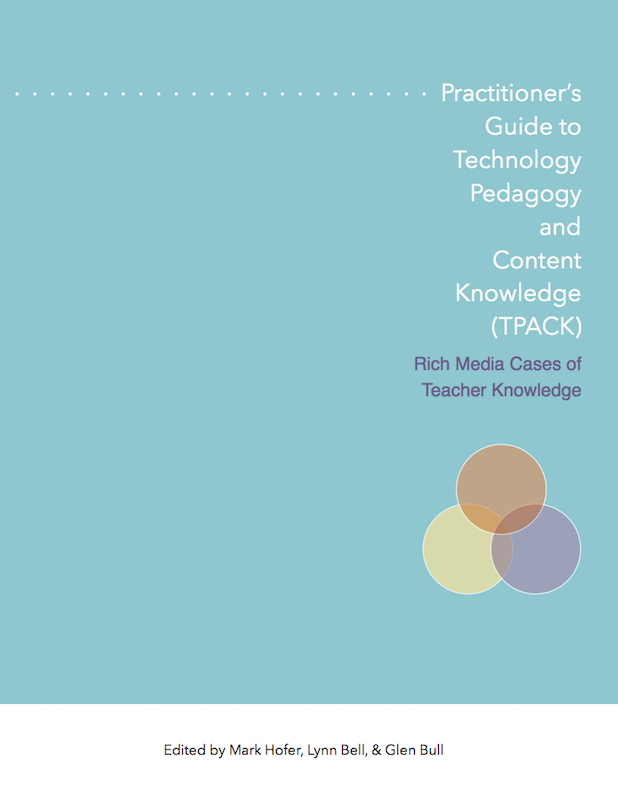 Practitioner’s Guide to Technology, Pedagogy, and Content Knowledge (TPACK): Rich Media Cases of Teacher Knowledge . Waynesville, North Carolina: Association for the Advancement of Computing in Education (AACE). Retrieved April 24, 2019 from https://www.learntechlib.org/primary/p/151881/.